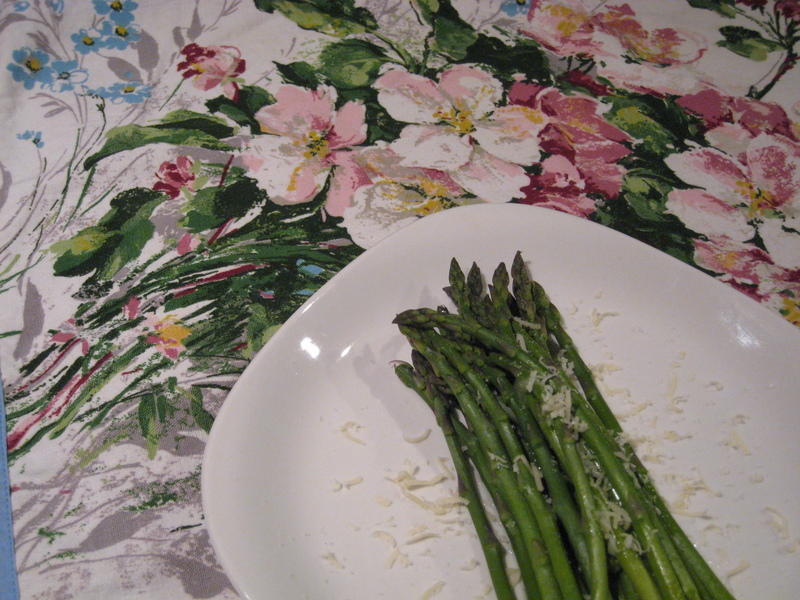 This one is so easy – just snap the woody ends off the asparagus, and steam them for a minute or two. Plate them, squeeze a little fresh lemon juice on top, grate a little parmesan on, and a little salt. Done – tasty, easy, delicious.